Late night shopping at Target sounds like a good time to us! For the tenth consecutive year, Target is hosting private shopping events for incoming college freshmen to gear up for the best years of their lives. 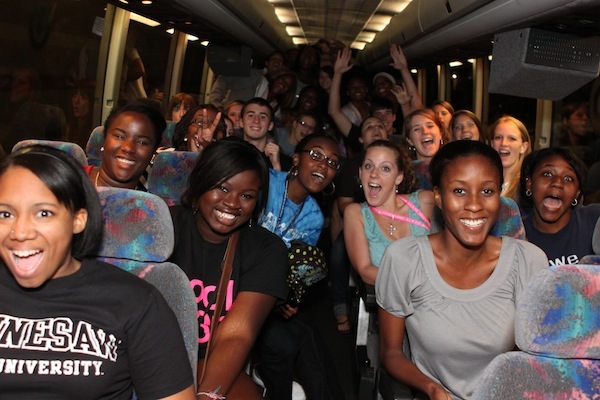 Throughout August and September, we bus nearly 155,000 students from 66 different universities and colleges to their local Target store in style – on coach buses – for a night of music, shopping and fun. Live DJs get the party going while students stock up on beauty products, late night snacks, designer threads and school supplies during the off-campus excursions. Amazing coupons and prizes, like a year’s supply of pizza, a Sony 32” television and Target GiftCards, set the tone for a festive and fun night. 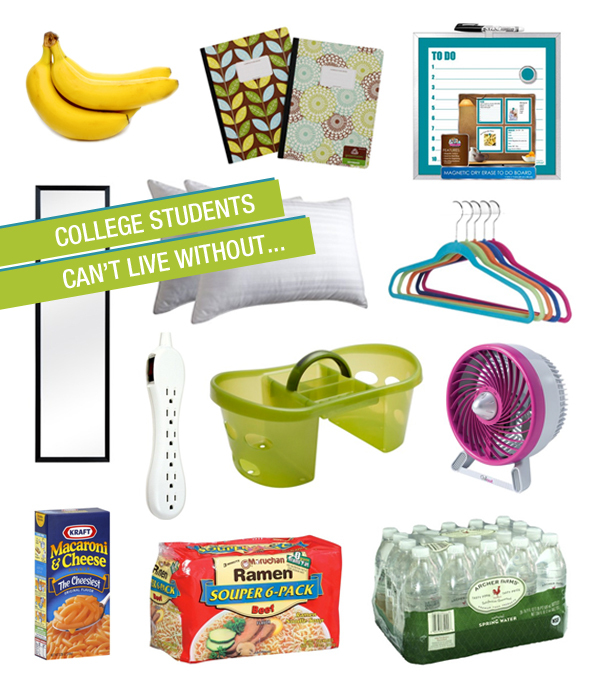 Since we’re the go-to gurus for dorm-room décor and the essentials of surviving freshmen year, we make sure college newbies are prepared. From laundry detergent (that’s right, Mom won’t be there to wash and fold) to mini fridges and shoe organizers, we have tons of small-space solutions designed by Target’s talented Product Design and Development team. During the back-to-school season Target sells enough Elmer’s glue to fill half an Olympic swimming pool and more crayons than the number of people living in the US.